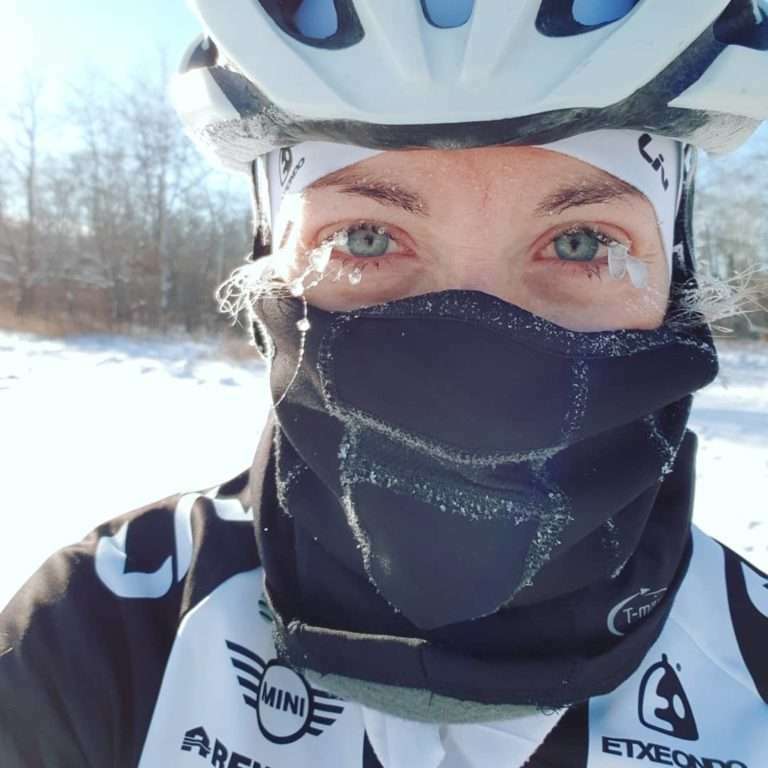 As a Canadian and a pro cyclist, it occurred to me that I probably experience some of the biggest temperature swings in the course of the year compared to the average person on this planet. The extremes encountered by Canadians are especially vast. Take my hometown for example, Winnipeg, Manitoba. There are times in the winter when the temperature can dip below -50°C (-58°F) with the Wind Chill, and then climb above +40°C (104°F) during the summer months. Life as a pro cyclist demands that you are able to quickly adapt to different environments while racing around the world. Many riders are currently dealing with searing heat, as the season kicks off for some teams in Australia. The Canadian riders and many Europeans are currently under a blanket of snow or being pelted by rainstorms, building up mental stamina for the Spring Classics, while many have fled south for team camps in more agreeable training environments. 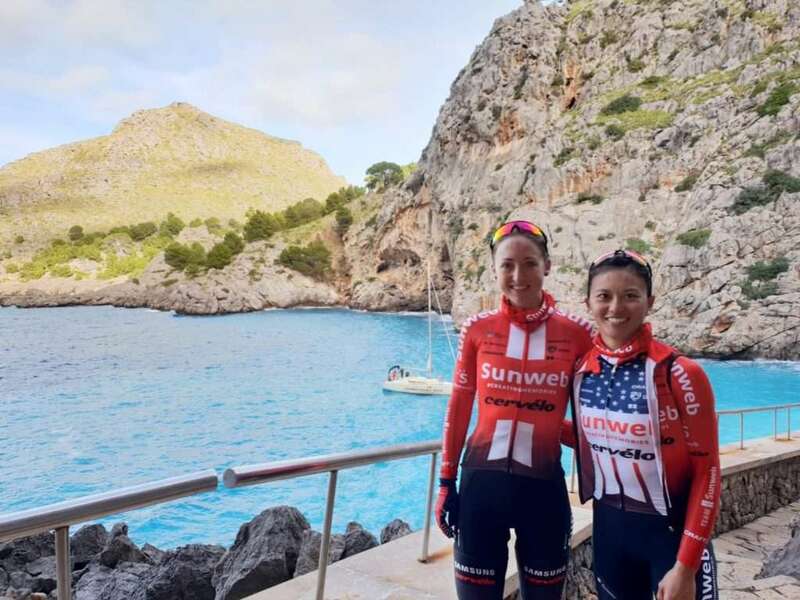 I’ve been one of those riders, first spending time exploring Mallorca before joining up with my teammates in Calpe, Spain this past month. Weather is not considered a boring topic of conversation to cyclists, it is essential information. Most riders track the weather obsessively, cross-referencing different apps, while constantly adapting to the elements. Clothing, nutrition, hydration, training length, route and intensity are just a few factors that change based on the environment. 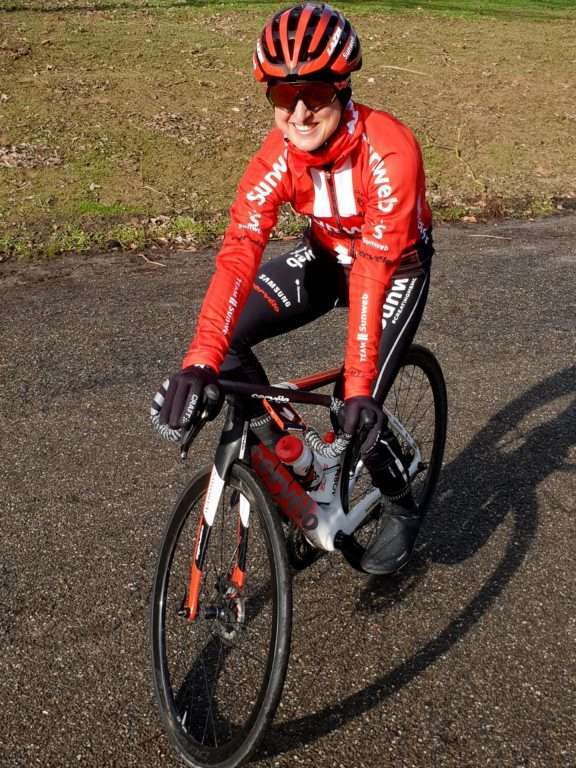 This week in the Netherlands, I have been shuffling my training days around to avoid the snowiest days, putting my new Craft rain and winter gear to the test, and have also opted for the warmth and efficiency of the trainer. Last week at our team camp in Calpe, Spain, I was in charge of planning a route one day, but got woken up by gale force winds. Concerned that a teammate might get blown off a mountain on my original route, I adjusted and chose safer roads to take that day. These are just a few examples of how we constantly adapt to the conditions. Extreme environments affect riders differently in a physical and psychological sense. Proper clothing, equipment, and adaptation strategies can help you physically prepare and perform in different environments. Even in using these strategies, it does seem that genetics and individual backgrounds lead riders to favour and excel in certain conditions over others. Some live for the chilly Classics, while others can’t wait to melt in the Italian summer heat at the Giro. The mind and body are very much connected, and I find it very interesting to consider the role of the mind when facing extreme elements. Some riders can seemingly train and race through anything Mother Nature throws at them, while others mentally check out when faced with a challenge before reaching physical limits. As I spend more time escaping to ideal environments during the winter, I do wonder if the easy choice is the right choice. If you choose to avoid the elements in training, do you lose the ability to battle these things with as much intensity when eventually forced to face them in a race? Is this a mental skill that needs to be constantly reinforced, or can you ever just reach a point where you have accumulated enough mental stamina and can opt for the easier choice without consequence? Since I am still primarily based in Canada and Holland, and still train in a lot of inclement weather and indoors on the trainer, I favour the former theory that the mind must be constantly trained to endure! These elements that play such a big role in this sport are only going to intensify as the climate changes around us as well. I wonder how we will see this impact the sport unless we change how we live. Will we see the Extreme Weather Protocol introduced by UCI in 2016 called into effect more often? Will we need to train our minds and bodies to handle increasingly extreme environments? All this considered, I am thankful we are such an adaptable species. I wonder at times what it would be like to train and compete in a controlled environment, but the sport just wouldn’t seem quite so challenging if there wasn’t this extra element called weather! Just some thoughts from your weather obsessed Canadian friend. Sending warm thoughts to my friends and family currently freezing in Winnipeg! I’ll be back in March with an update about my first competitions of the season, in the meantime you can follow me on Twitter @L_Kirch and Instagram @leahkirchmann.